After almost three decades as a global leader in software protection against counterfeiting, reverse engineering, and tampering, Wibu-Systems keeps surprising the market with technological innovations year after year. 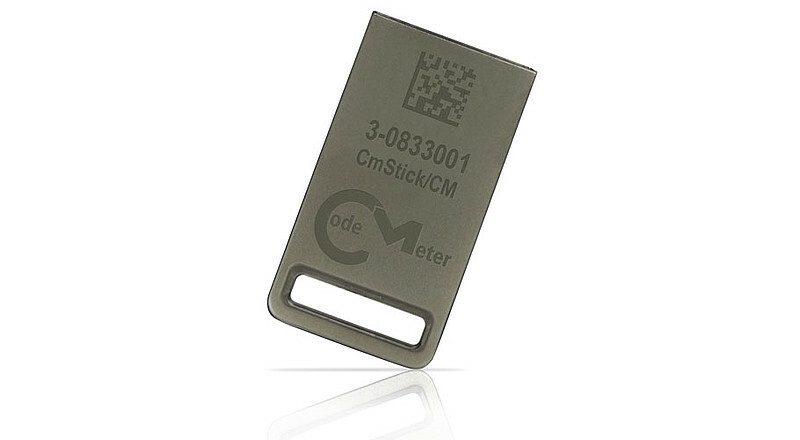 CmStick/CM, the newcomer to CodeMeter’s hardware element family for secure key storage, comes in a futuristic design that is not just elegant, slim, and ultra-compact in size, but also the outcome of a totally new way of creating robust USB devices made to stand up to even demanding industrial environments. This new dongle adds to a complete hardware product lineup that already includes compact dongles without flash memory, standard-size dongles with flash memory, memory cards, and ASICs. The new CmStick/CM combines the security capabilities and additional features of all the above form factors in a sturdy metal housing that is fully integrated with the USB connector. However, the greatest revolutionary concept that makes CmStick/CM stand out as the smallest dongle with flash memory in the world is its high-tech manufacturing technology called SiP (System in Package). The power of SiP technology lies in its ability to bring together many IC and package assembly and testing techniques to create highly integrated products with optimized cost, size, and performance. This cutting-edge module creates a seamless union between the USB connector and the body of the dongle; the connector is no longer subject to bending, vibration, humidity, or temperature shocks; it is part of the housing itself, which makes the stick highly recommended for rugged industrial contexts. For complete customer satisfaction, the metal case can be personalized with the client’s logo. Thanks to its highly automated production, the CmStick/CM also offers an unbeatable price/performance ratio.